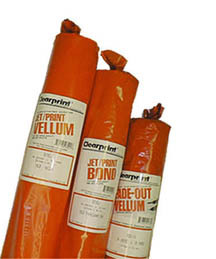 7020PV 20-pound EXTRA SMOOTH vellum 100% new cotton fiber solvent free. Exclusively designed for pen or pensil plotting. Excellent ink recptivity, resist grit wheel tracks, environmentally friendly. Smooth surface permits fastest possible plotting.